WubbaNub with Soothie brand pacifier is shipped in gift friendly packaging that promotes its features. Exclusive license. 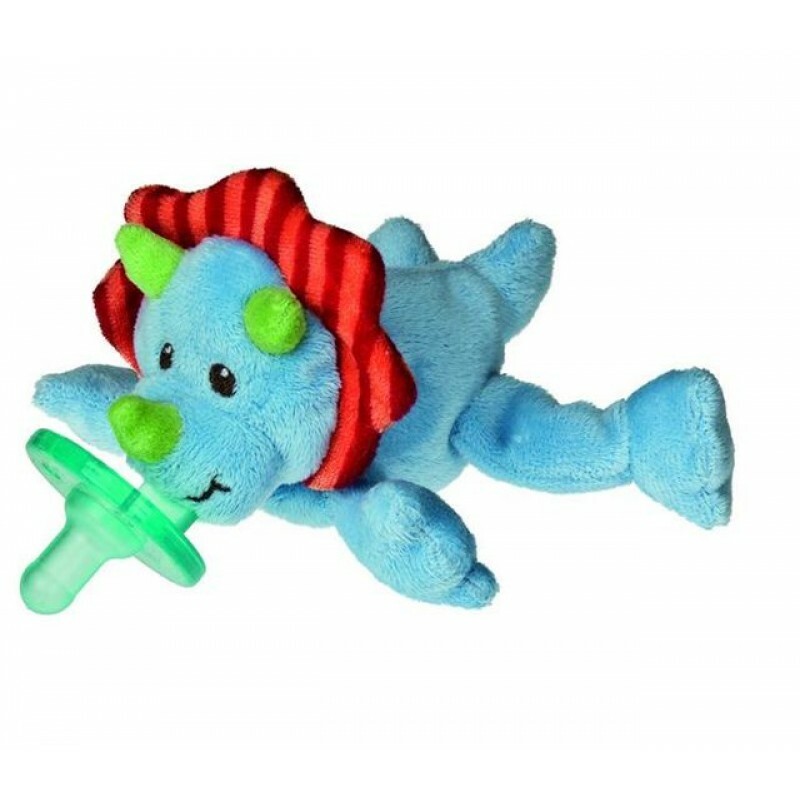 The WubbaNub Plush Toy Pacifier is a great animal friend to help keep your baby content and happy. Recommended for ages infant (full term to 6 months). Complete care instructions included on back of packaging. • The durable one-piece construction means no germs hiding between cracks so the pacifier stays cleaner. WubbaNub™ functions as one! Patented design prevents pacifier from being lost, dropped or even forgotten! Carefully calculated weight and size of plush animal keeps the WubbaNub™ near baby's mouth, whether lying on side or back, the car seat, sling or stroller. Plush animal makes it easy for baby to grasp and manipulate the pacifier.